I now have 8 reviews on Amazon for each of my books (and more on Goodreads), a couple of blog reviews, and everything has been more positive than I had dared to hope. While my book is still unknown to most, it isn't a complete risk any more. Buyers can read the reviews to help them make an educated choice. 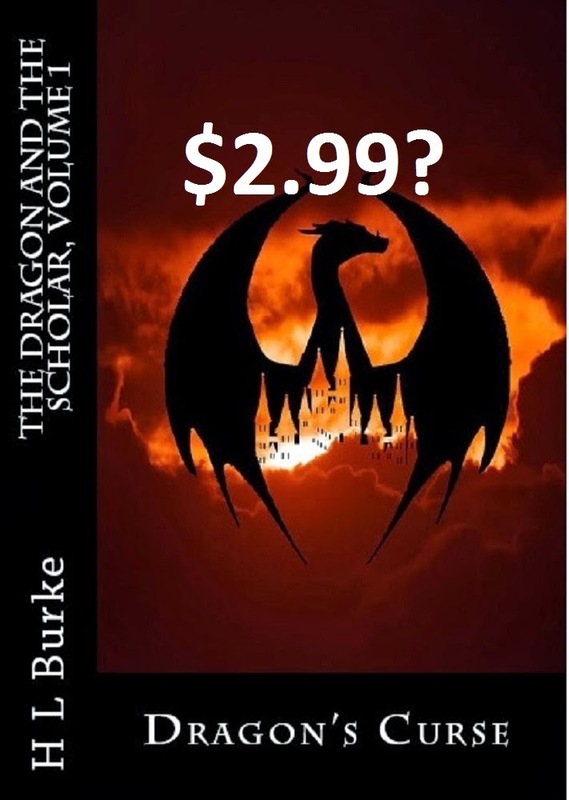 And while KDP (kindle direct publishing) does have a 70% royalty option, your book has to be priced at $2.99 to $9.99. Under $2.99 (or above $9.99, I guess, though that seems weird to me) and the royalty rate is 30%. At 30% my profits per sale were minimal. 70% was alluring. I still hesitated though, and I'm still agonizing about whether I'll get fewer overall sales because of this increase. I might update you in a bit to let you know if I've made any sales at the new price and if I feel sales have gone up, down, or stayed the same.